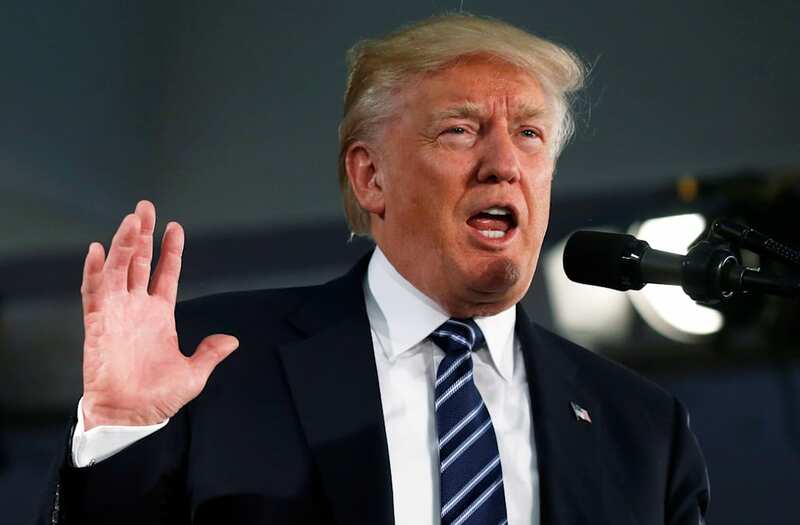 President Donald Trump's 2018 budget plan released Tuesday faced near-universal pushback in Congress, as even members of his own party expressed skepticism over its provisions. Perhaps the most damaging sign for Trump's budget is that many lawmakers in his own party have taken issue with all or parts of the plan. Sen John Cornyn, the second highest-ranking Republican in the Senate, dismissed the importance of presidential budgets altogether, even though Trump's proposal represented the administration's first sense of its priorities. "Almost every president's budget proposal is basically dead on arrival, including President Obama's," Cornyn told reporters, adding that Trump's may face a "similar fate." Sen. John McCain had a similar assessment, specifically citing what he saw as inadequate increases in military funding. "President Trump's $603 billion defense budget request is inadequate to the challenges we face, illegal under current law, and part of an overall budget proposal that is dead on arrival in Congress," McCain said in a statement Tuesday. 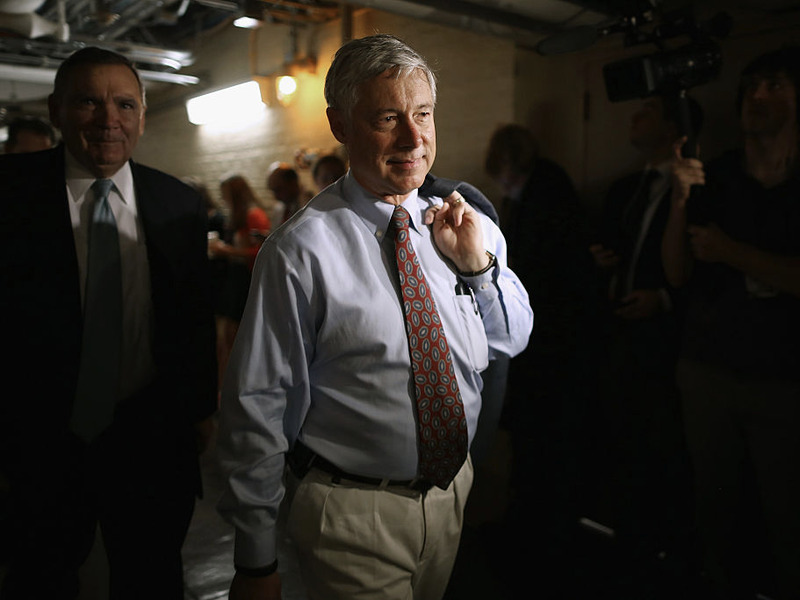 Rep. Fred Upton said many of the provisions were "non-starters." He suggested to The Associated Press' Erica Werner that Mick Mulvaney, the Office of Management and Budget director who rolled out the plan, might not have voted for the budget if he was still a member of the House. Many Republican lawmakers took aim at proposed cuts to programs that would directly affect their constituents. Rep. Hal Rogers, the Republican chair of the House Appropriations Committee, told The Washington Post that the $610 billion cut to Medicaid spending proposed in the budget, which is on top of a proposed $880 billion cut in the GOP healthcare bill, was a particular problem for his district. "I've got one of the poorest districts in the country, with lots of Medicaid recipients as well as other programs. ... The cuts are draconian," Rogers said. Sen. Pat Roberts, the head of the Senate Agriculture Committee, told the Wall Street Journal's Kristina Peterson that the proposed cuts in the budget to crop insurance funding were unacceptable. "It's just a lot of people who don't know what the hell is going on in farm country," Roberts said. Rep. Mark Meadows, chair of the hardline House Freedom Caucus that has railed against government spending, even said the administration's proposed to some programs were too much. "Meals on Wheels, even for some of us who are considered to be fiscal hawks, may be a bridge too far," Meadows told The New York Times. Republicans also questioned some of the economic growth statistics the White House used to sell the budget on Tuesday. The budget assumes that GDP growth will hit 3% in 2019 and remain there through 2027, which allowed the administration to say the budget would be balanced in 10 years. "Three percent, I'm not seeing how you get there mathematically," Rep. Mark Sanford told The Associated Press. "It makes for a make-believe debate that I find frustrating." Overall, the tone from Republicans on the Trump budget was that the cuts in the plan were not good policy — and nearly impossible to sell politically. "Like I want to go home after having voting against Meals on Wheels and say, 'Oh it's a bad program, keeping seniors alive?'" said Rep. Mike Simpson. "There's just some of the stuff in here that doesn't make any sense. Frankly, you can't pass these budgets on the floor." Democrats, for their part, also took the opportunity to pile on the president's proposal. "When you add it all up, Mr. President, the Trump budget is comic-book-villain bad; and just like comic books, it relies on a fantasy to make all the numbers work," said Senate Minority Leader Chuck Schumer. "It's the kind of budget you might expect from someone who is openly rooting for a government shutdown. Haven't we heard the president say that?" "This is a budget that is immoral and that will cause an enormous amount of pain for the most vulnerable people in our nation," Sen. Bernie Sanders said at a press conference Tuesday. "This is a budget that will be rejected by the American people and must not see the light of day here in Congress." The bipartisan pushback likely means change will be in order as budget negotiations kick off in Congress. Chris Krueger of the Cowen Washington Research Group said the policies in the Trump budget are "total non-starters on Capitol Hill." "The 24 House Republicans who represent districts won by Hillary Clinton are likely to see political ads run in their districts having this budget around their necks like a millstone," Kruger said in a note to clients on Tuesday. "The public statements from Republican Congressman in Appalachia — the backbone of Trump's electoral support — have been particularly critical of the proposed domestic/social safety-net cuts." Greg Valliere, chief investment strategist at Horizon Investments, expressed similar reservation about the prospects of the Trump plan gaining traction in a note on Monday, saying "it's difficult to envision Trump getting his way on his budget."